The College of Medicine and Healing Arts (CoMHA) is based in Leicester, UK and runs in-person trainings and courses in UK and internationally. We are a not-for-profit organisation with a mission to train and develop individuals to the highest level of skill and professionalism in Tibb and Complimentary & Alternative Medicine (CAM). Our underlying philosophy at CoMHA is one of inclusiveness, seeing unity in diversity. College of Medicine and Healing Arts Online (www.CoMHA.Online) is a community health initiative to inform, educate and empower individuals, families and communities across the globe to promote their own health and to learn how to overcome disease and ill health. Good health is essential for a full and happy life. Everyone would like to enjoy perfect health throughout their life. Perfect health means complete enjoyment of all inherent vitality and clarity of mind. It is a state of total well-being and happiness. Tibb is a living tradition of health and well-being that also incorporates positive aspects of Complimentary & Alternative Medicine (CAM). Hakim M. Salim Khan M.D. (M.A.) M.H. F.G.N.I. D.O. is an international authority on natural medicine, specifically of the Tibb tradition. During his 40-year career, he has helped 1000s of patients and taught 100s of students. Hakim Salim sees patients, lectures and trains students all over the world including in the UK, USA and New Zealand. Guild of Naturopathic Iridologists International (GNI). The International Association of Natural Medicine (IANM). Hakim Salim is a trustee of the World Unani Foundation. President of Ibn Sina Academy of Medieval Medicine and Science, Aligarh, India. Former Deputy Director of the Central Council for Research in Unani Medicine, Ministry of Health and Family Welfare, Govt. of India, and Chairman of Al-Hikmah Foundation, New Dehli, India. Former Director General, Central Council for Research in Unani Medicines (CCRUM). Former Dean, Quaid-i-Azam University, Islamabad, Pakistan. ND, PHD, MGNI, Sri Lanka. College of Medicine and Healing Arts (CoMHA) is based in Leicester, UK and runs on-site courses in UK and internationally. We are a not-for-profit organisation with a mission to train and develop individuals to the highest level of skill and professionalism in Unani Tibb and Complimentary & Alternative Medicine (CAM). Our underlying philosophy at CoMHA is one of inclusiveness, seeing unity in diversity. Good health is essential for a full and happy life. Everyone would like to enjoy perfect health throughout their life. Perfect health means complete enjoyment of all inherent vitality and clarity of mind. It is a state of total well-being and happiness. 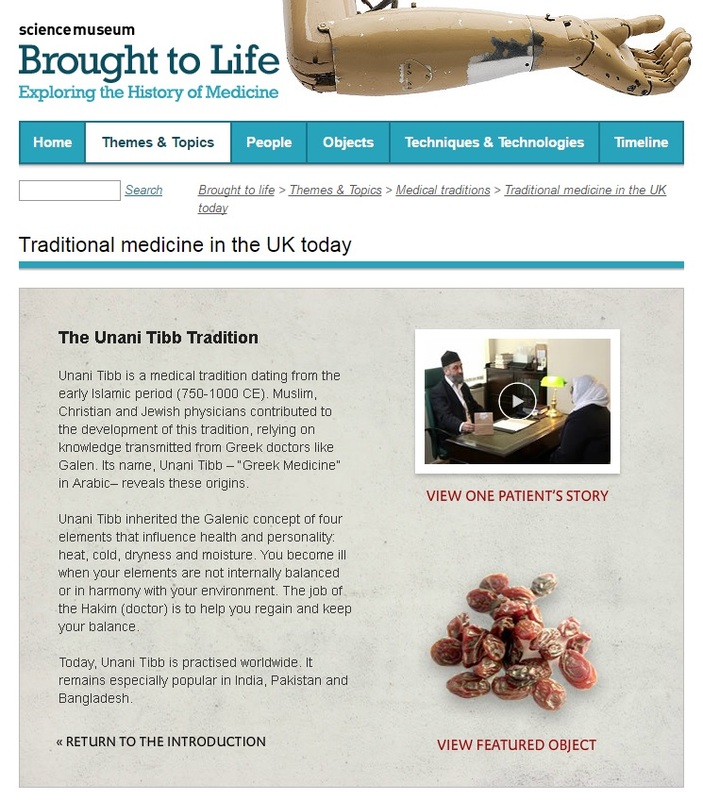 Tibb (Unani) is a living tradition of health and well-being that also incorporates positive aspects of Complimentary & Alternative Medicine (CAM). CoMHA Online is a community health initiative to inform, educate and empower individuals, families and communities across the globe to promote their own health and to learn how to overcome disease and ill health. He was featured in this 1985 BBC documentary. He facilitates community health courses/lectures as well as practitioner training with Al-Maqasid in USA. He delivered this lecture at Zaytuna College, USA titled Healthy Living in the Modern World. The British Science Museum in London has his work on display titled The Unani Tibb Tradition. 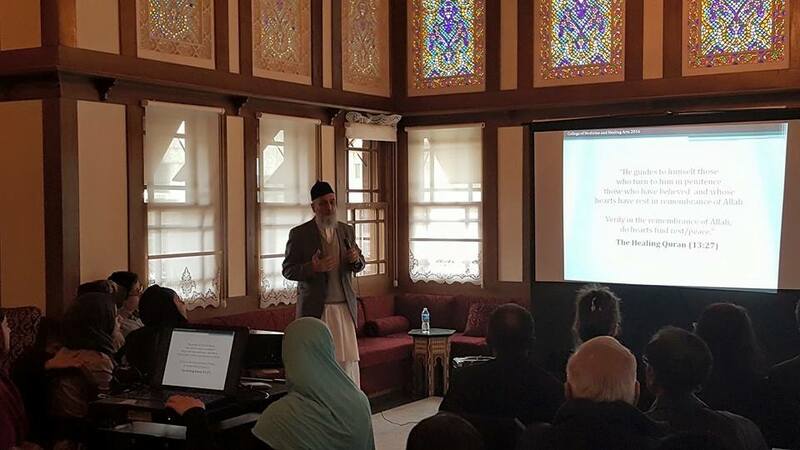 He was invited to deliver a lecture at Diyanet Center of America in April 2016. He has been invited to speak by the Wellcome Trust on a number of occasions. He was invited as a guest speaker by The Central Council for Research in Unani Medicine (CCRUM), New Delhi, India for The First International Seminar on Unani Medicine in March 1987. He was invited by the Hamdard Foundation as a guest at The International Conference on Elements in Health and Disease, 1987, in Karachi, Pakistan. National Institute of Health in Islamabad invited him to a workshop on standardisation and use of traditional medicine, organised in collaboration with World Health Organization (WHO) in December 1995.